There's no point spending money on great makeup if you're not armed with the best tools to apply it with. That's where a perfectly curated makeup brush set comes in. Yes, you can buy individual brushes if you prefer, but it's often a more expensive way of building up a brush arsenal and the already-put-together sets contain everything you could need. If you can, try and invest a little more into your tools, as good brushes will last you a long time. A quick survey around Byrdie HQ revealed that there were brushes in team members' kits that were 15 years old and still going strong. Just remember to wash them regularly and store them either upright in a pot (we favour old Diptyque candle jars) or in the cases they come in so that the bristles are always laying flat. 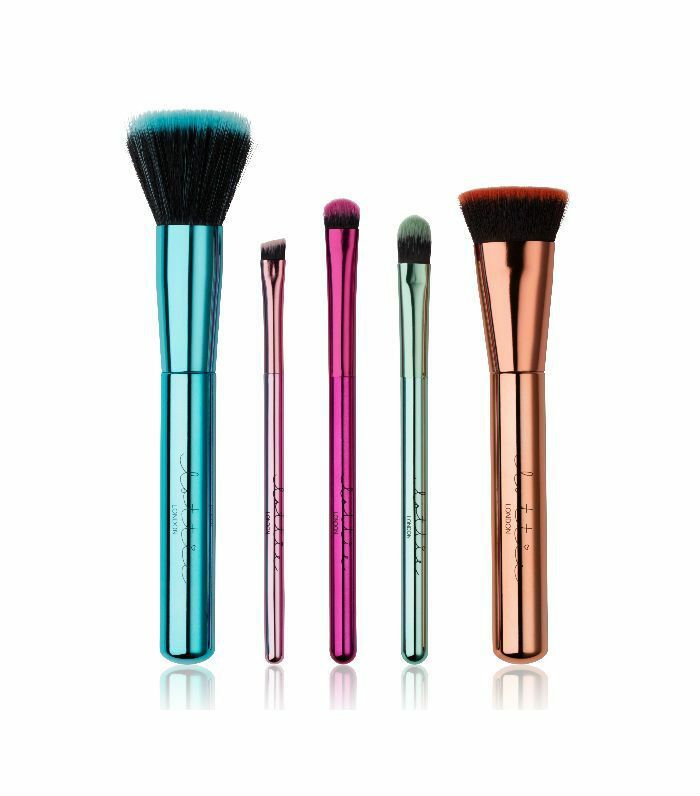 Read on to discover our pick of the best makeup brush sets out there. 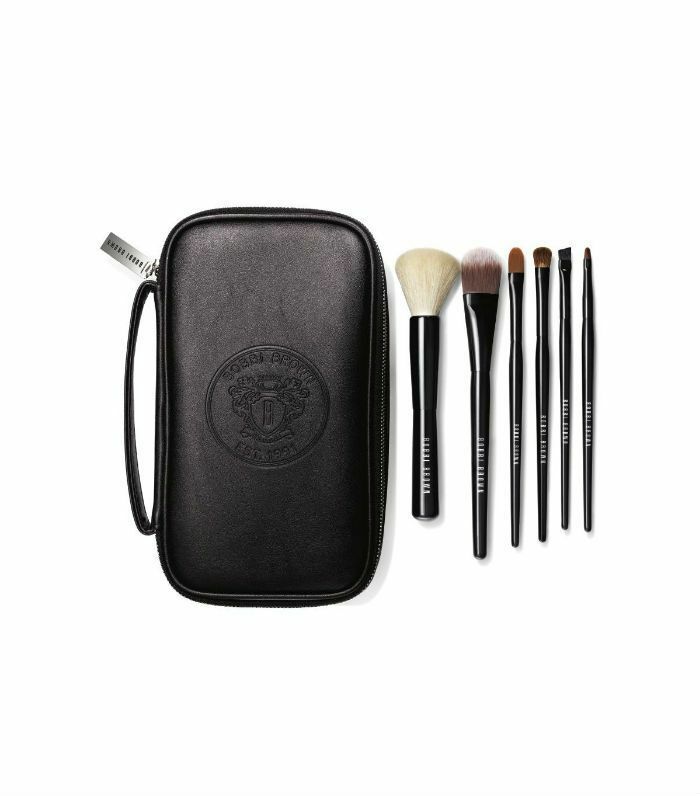 Encased in its own gorgeous leather clutch, this set contains six of Trish's most iconic brushes. In the mix, there is an eyeliner brush (which can also double as a brow brush), a small and medium eye shadow brush, a blending brush, a cashmere soft foundation brush and the beautiful kabuki brush that you can either use for bronzer over the face or to sweep product over the body. Made from a mixture of high-quality hair and synthetic bristles, all these brushes (there are eight in the set) can be used with both cream and powder products. They're a perfect size to be able to take away with you and come with gorgeous rose gold handles. Plus with that variety of brush styles, you have every makeup option covered. Our favourite is the small tapered round brush, ideal for creating a super-flushed cheek look. 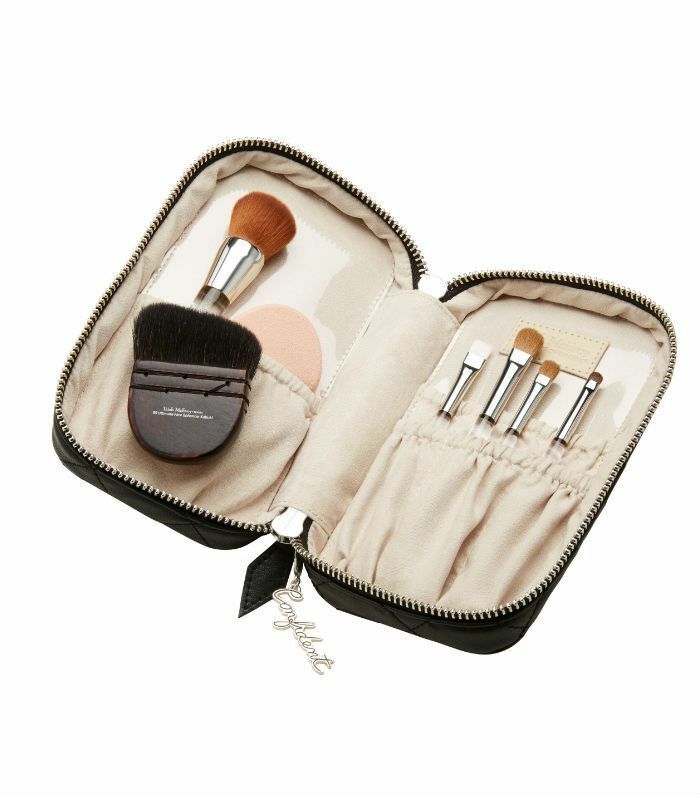 These beautifully made brushes come in a sleek black carrying case that contains everything you need for whatever your look of the day is. There's a gorgeously soft blending brush, a sleek foundation brush, a perfectly angled concealer brush, eye shadow, eyebrow and eyeliner brush. And you know, being Bobbi Brown, that the quality is going to be excellent. If you're not looking to spend too much but still want high-quality brushes, then let us introduce you to Lottie London. 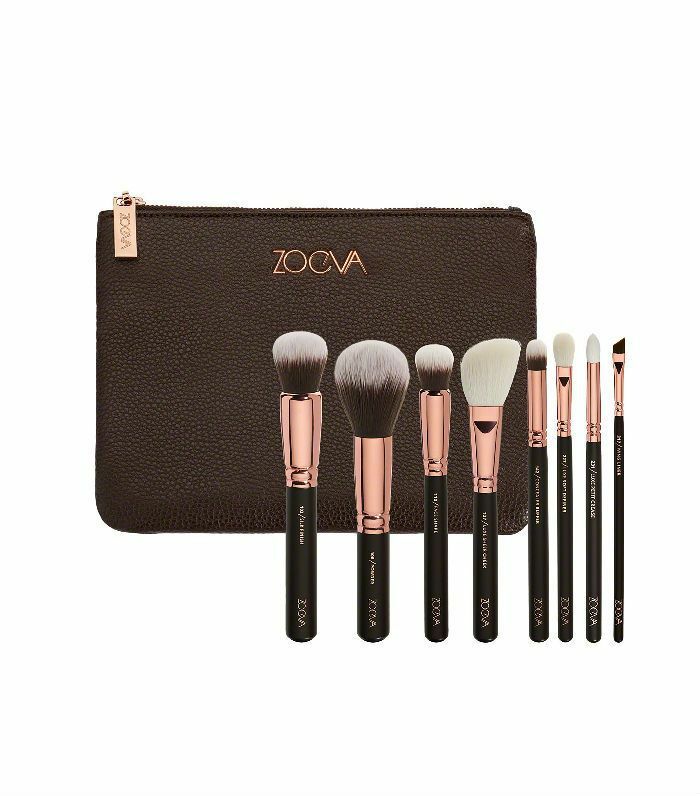 They're really well-made, look really good and this five-piece set contains everything you need, including a gold stipple brush that makes applying foundation and contour cream a dream. Plus the whole lot is under £30. 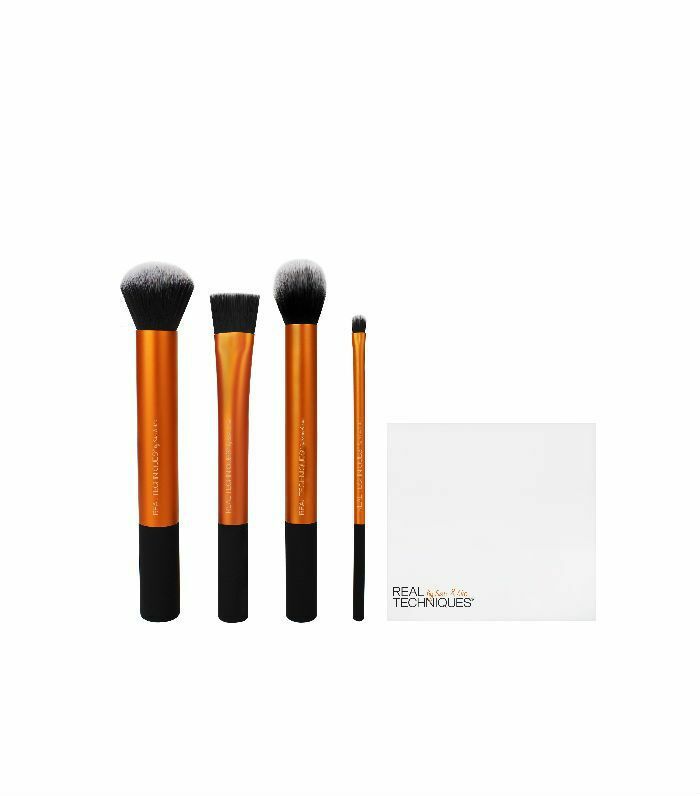 Created by makeup artists Sam and Nic Chapman, Real Technique brushes are of professional quality at high-street prices, and this four-piece set is a great place to start. The brushes are technically all for the face, but as there are no rules in makeup, we think the small detailer brush makes a great eye shadow brush, so you can make this one set work for everything you need. 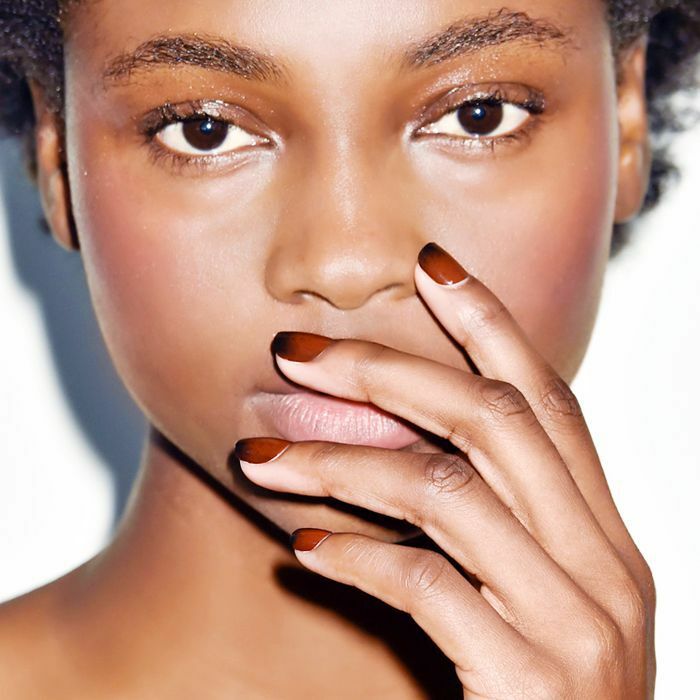 Up next, seven foundations that will rescue oily skin types.